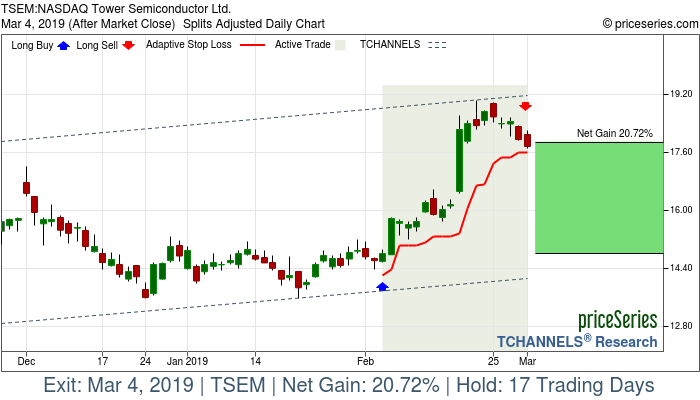 Tower Semiconductors Ltd., an independent semiconductor foundry, manufactures and markets analog intensive mixed-signal semiconductor devices in the United States, Asia, and Europe. The company provides various customizable process technologies, including silicon-germanium, BiCMOS, mixed-signal/complementary metal oxide semiconductor (CMOS), radio frequency CMOS, CMOS image sensor, integrated power management, and micro-electro-mechanical systems. It also offers transfer optimization and development process services to integrated device manufacturers and fabless companies. The company serves various markets, such as consumer electronics, personal computers, communications, automotive, industrial, and medical device products. Tower Semiconductors Ltd. was founded in 1993 and is headquartered in Migdal Haemek, Israel.